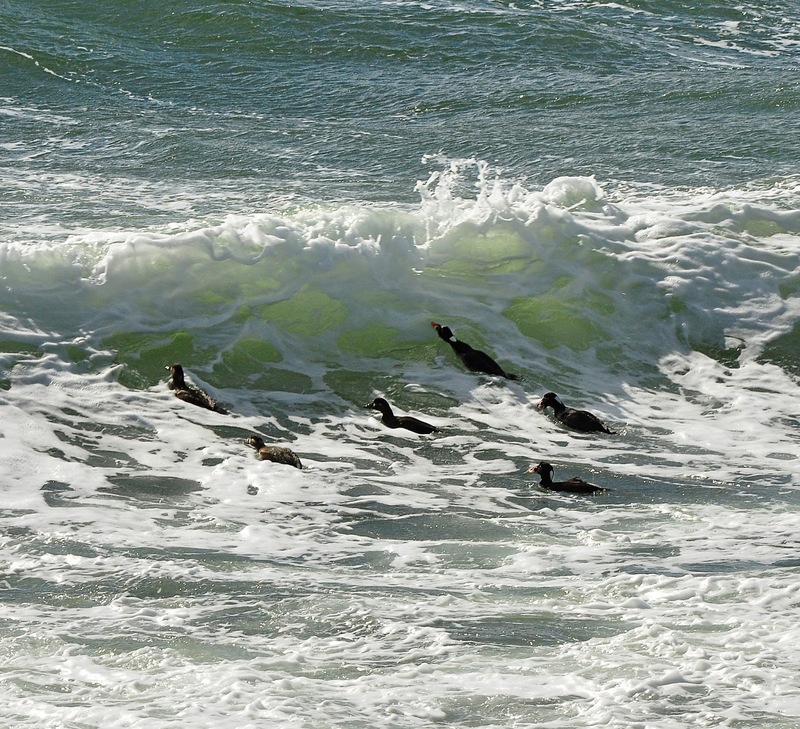 Spring officially arrived March 20th......with a vigorous storm in its teeth. 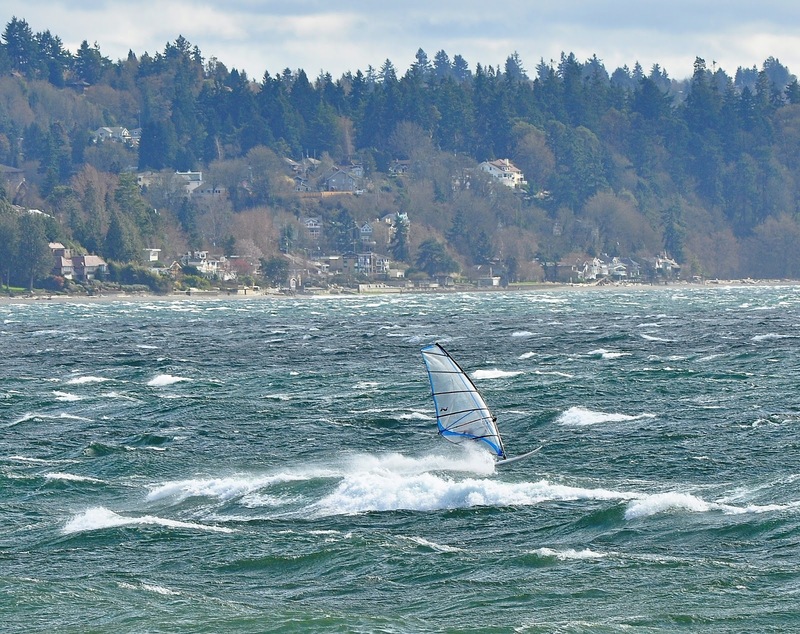 Winds of 25-30 mph with gusts to 40, rain in the lowlands and heavy snow in the Cascade and Olympic mountains. Happily our forecast for the next 10 days of Spring is dry and calm. 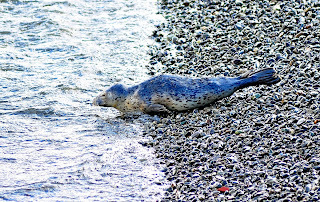 Harbor Seals continue to show up daily on Seattle beaches providing plenty of work for Seal Sitters volunteers who monitor the seals to ensure they are left in peace by wandering people and dogs. 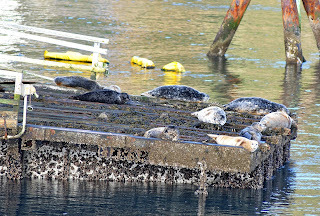 Many of these seals are last year's pups and are still very vulnerable to disturbances which force them back in the water. 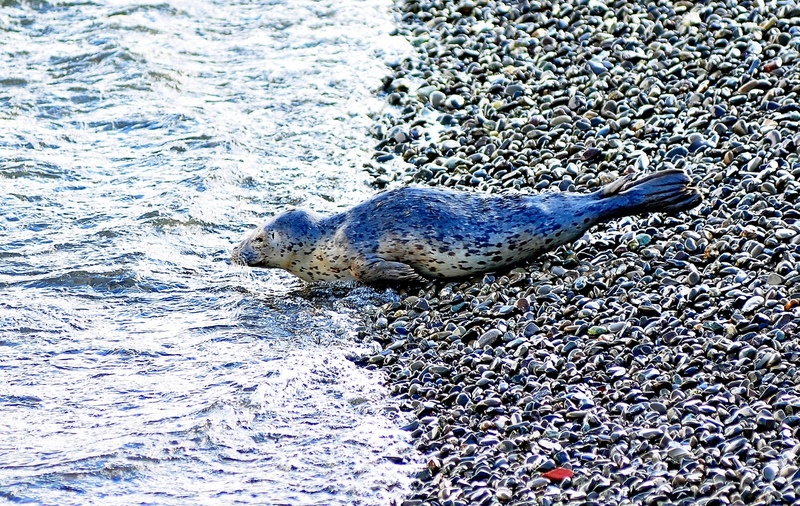 Resting on beaches allows the seals to conserve energy and heat between feeding periods. 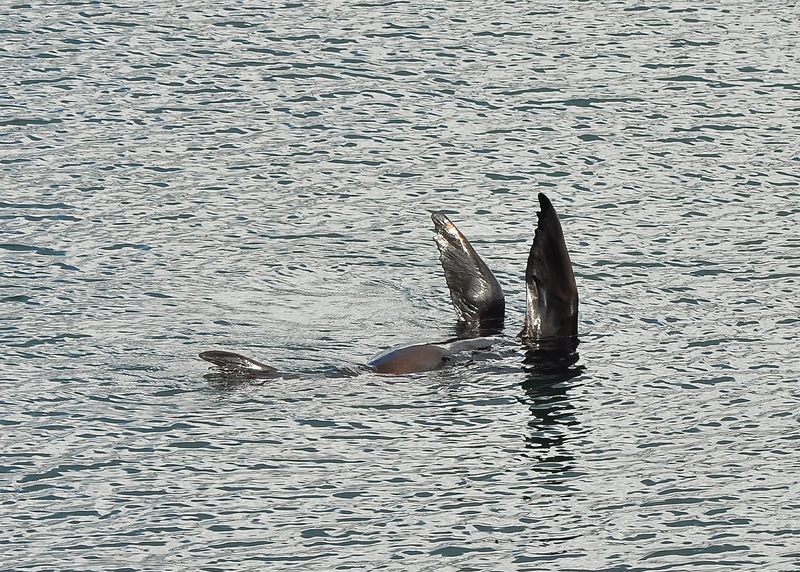 Without these rest periods the young seals face certain death before their first birthday. 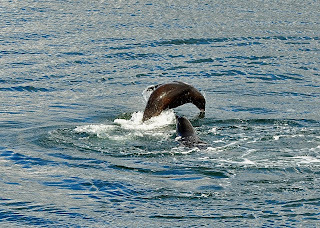 Male California Sea Lions are in Puget Sound during the non-breeding season and will depart for the breeding beaches south of Washington as Spring advances, to return here in late summer and fall. Females remain south all year. 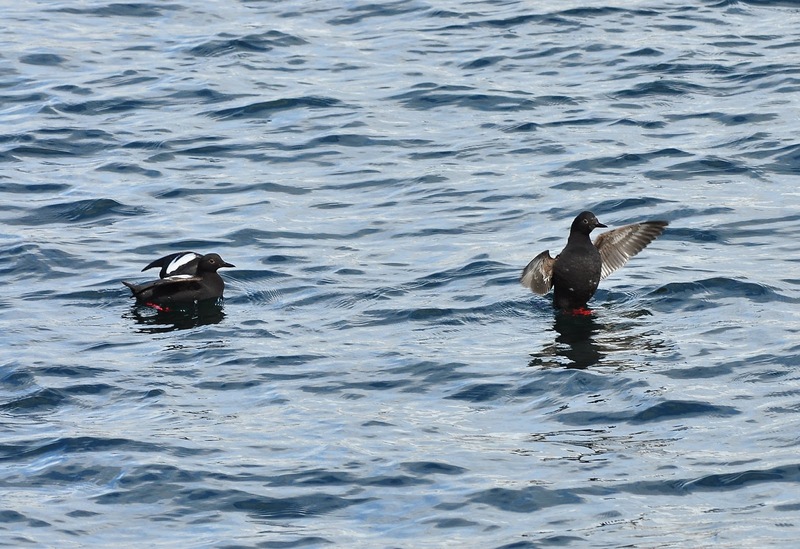 The waterfowl that have been wintering on Puget Sound will be moving to breeding grounds north and east during the coming weeks. 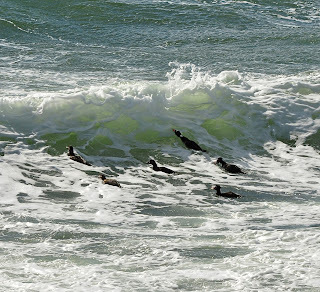 Thousands of Brant Geese will move north past Seattle beaches on their way from wintering areas along the coast all the way to Baja California Mexico. 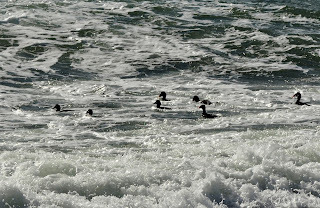 Surf Scoters winter in Puget Sound and are often treated to storms which bring their element...surf. 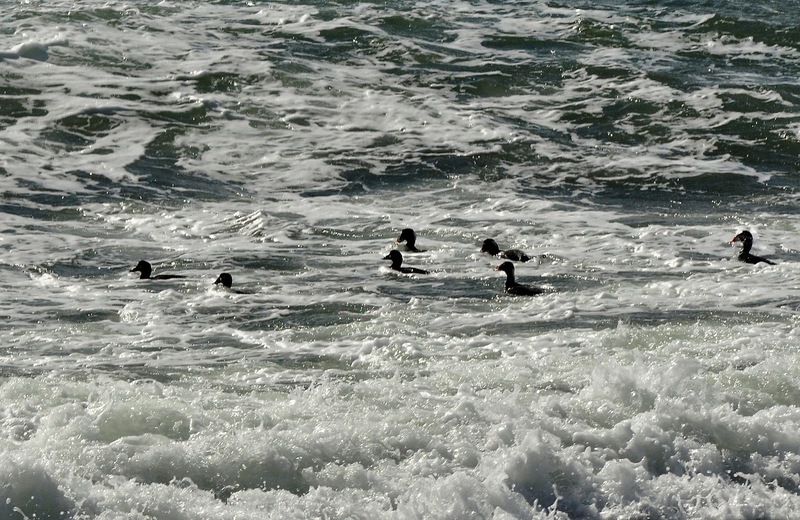 March 20th brought a play day for the Surf Scoters off West Seattle. 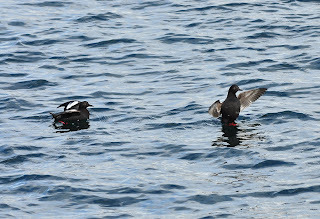 Pigeon Guillemots are finished molting into breeding plumage and show off their bright red feet when diving. 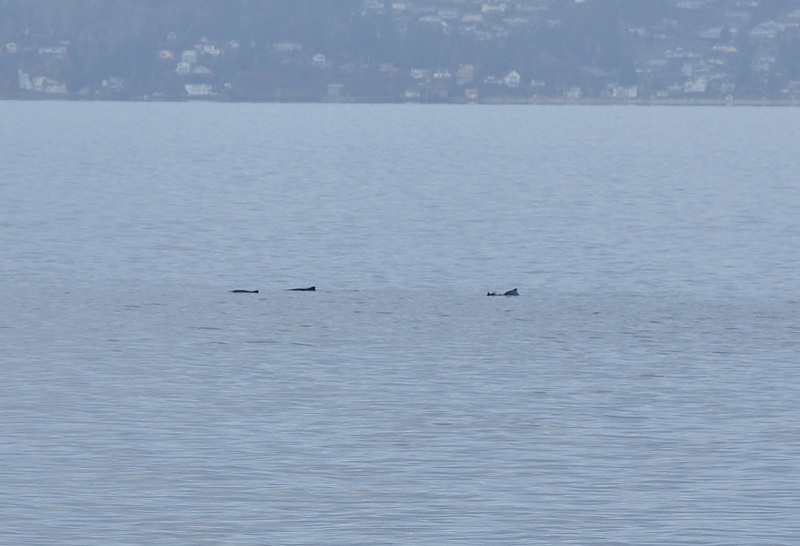 Orca Whales have been scarce in Puget Sound for the past weeks as no major runs of salmon are present in the Sound at this time. 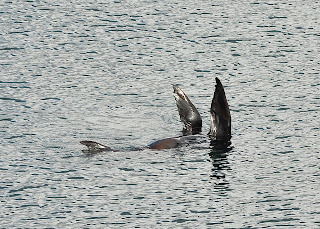 Summer will bring large runs of Pink Salmon to Puget Sound, but Orcas will normally not venture into the Sound in Summer as they prefer to hunt Chinook Salmon in the San Juan Islands of Northern Washington and British Columbia. 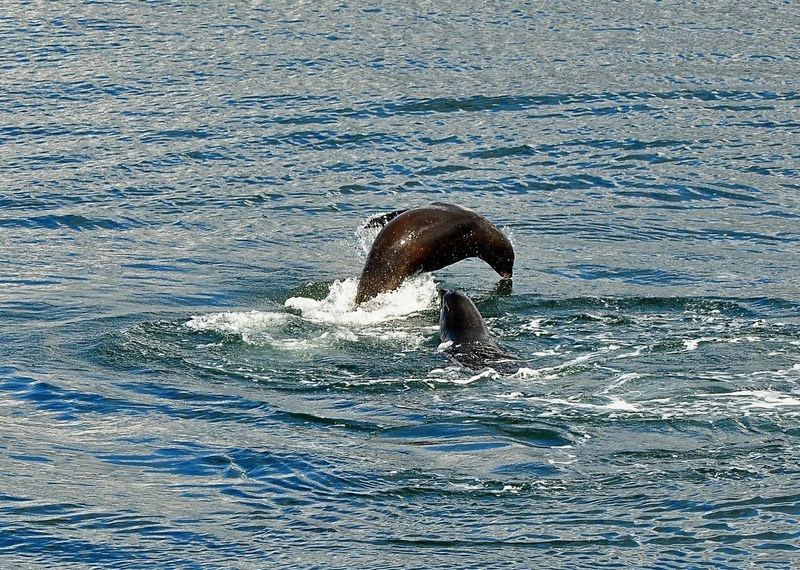 The Pink Salmon runs should provide a good food supply for resident Harbor Seals this Summer. 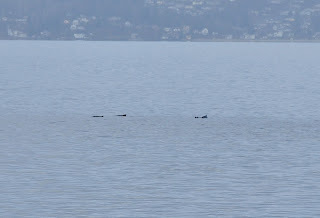 After decades of absence Harbor Porpoise have returned to central Puget Sound while Dall's Porpoise who have been common in central Puget Sound now seem uncommon. 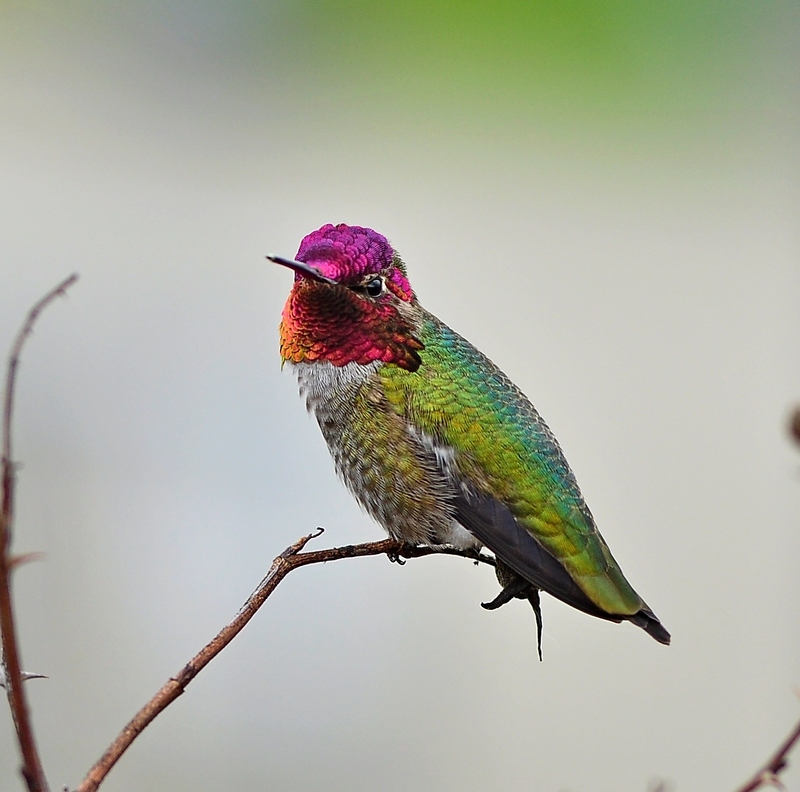 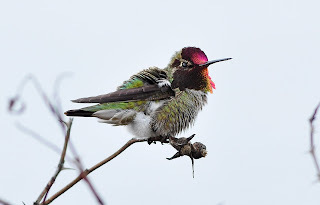 While not a sign of Spring, Anna's Hummingbird (here year round) has been seen at Jack Block Park in West Seattle and one has made himself the center of attention for local photographers....including me. 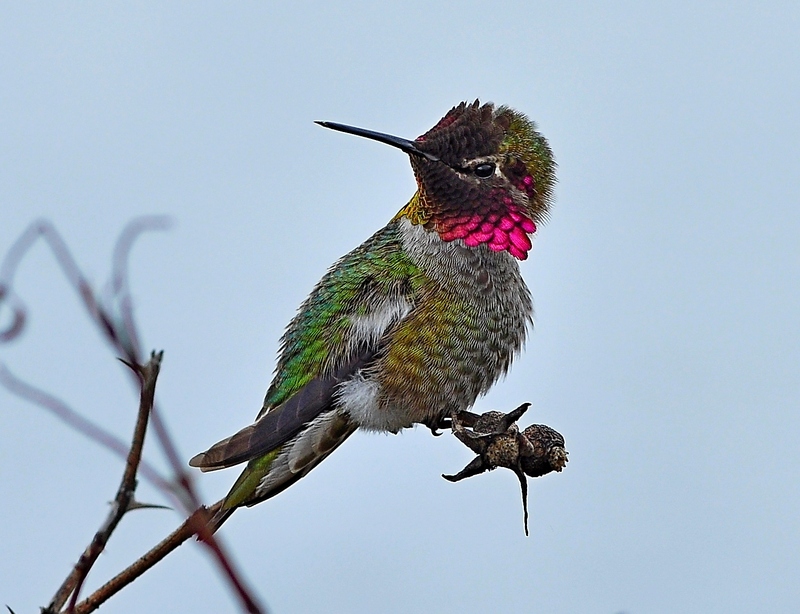 May you all have a great Spring....except those in south of the Equator...may you have a great fall..er Autumn. 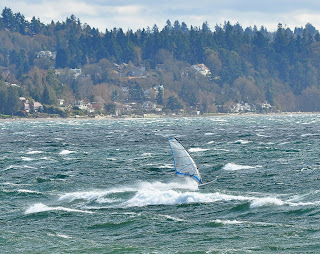 Happy wind surfer loving the Spring storm. Yet another Anna's image - this bird knows how to pose.